The Trump administration has given states permission to impose work requirements for people enrolled in Medicaid, the government health program for low-income households. The elderly, medically frail, and pregnant would be exempt from the requirement, but states could require all others to show that they have a job, are training for one, or are volunteering in their communities in order to receive the health benefit. The change was disclosed in new guidance from the Centers for Medicare and Medicaid Services (CMS), which said the policy change would incentivize work and community engagement. "Subject to the full federal review process, CMS will support state efforts to test incentives that make participation in work or other community engagement a requirement for continued Medicaid eligibility or coverage for certain adult Medicaid beneficiaries in demonstration projects authorized under section 1115 of the Social Security Act," the agency said. In a conference call with reporters, Seema Verma, CMS' administrator, said she believes states choosing to implement a work requirement would be able to do so in the near future. However, it is almost certain that not every state will adopt the requirement. The Obama Administration specifically barred states from implementing a work requirement, and states with Democratic governors and legislatures may adopt a similar stance. CMS said it is aware of 10 states that have expressed interest in imposing a Medicaid work requirement. Those states are Arizona, Arkansas, Indiana, Kansas, Kentucky, Maine, New Hampshire, North Carolina, Utah, and Wisconsin. 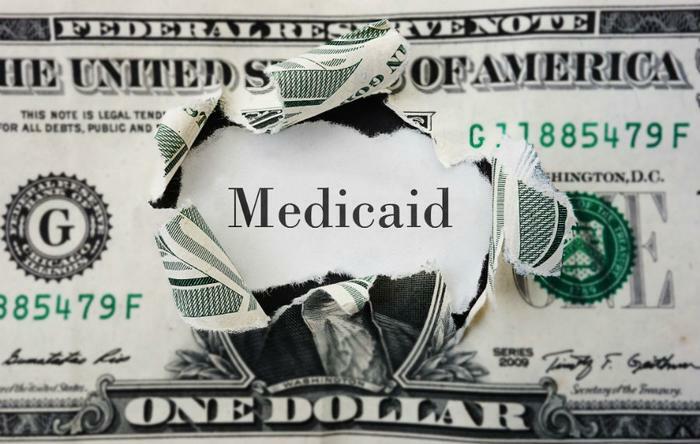 Medicaid is a joint federal-state program to provide health benefits to low-income individuals. The money comes from the federal government, but the programs are administered at a state level. Under the Affordable Care Act (ACA), states had the option of expanding Medicaid rolls to include more people in the program. It proved to be a largely partisan decision, with states controlled by Democrats taking that step but states under GOP control declining to do so. As of last year, Medicaid funded medical and health-related services for an estimated 74 million people in the U.S.